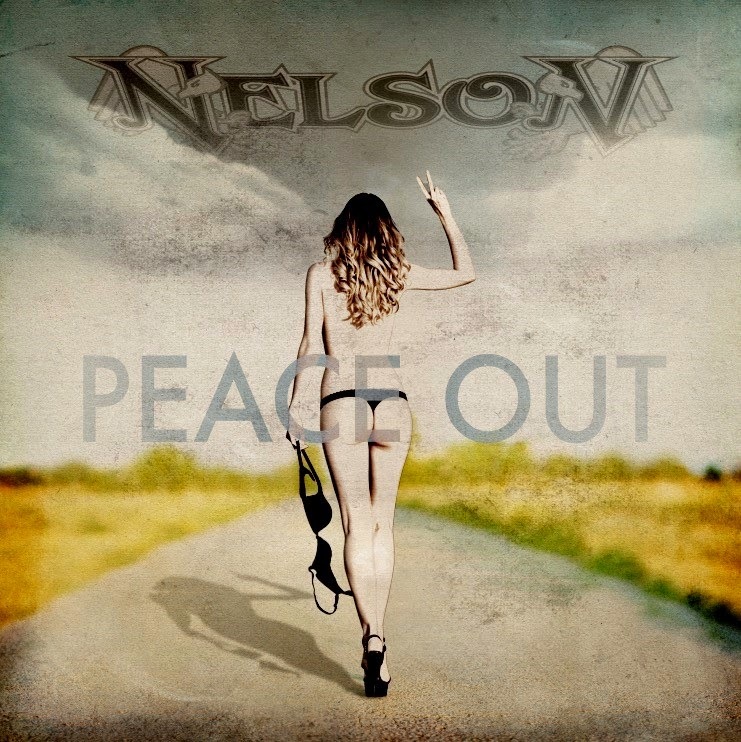 Rock & Metal 4 You: CD-Review: Nelson - "Peace Out"
It's always stunning how fast time is passing by. 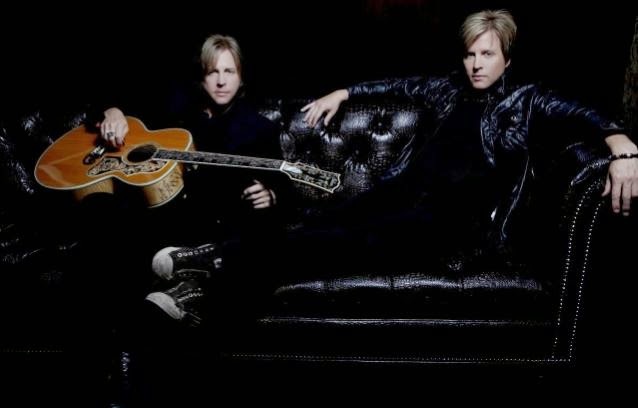 Five years ago the Nelson brothers Matthew and Gunnar started their big comeback with their album "Lightning Strikes Twice". So talking about their forthcoming record "Peace Out" you could easily say this is a second comeback. They describe the new effort as "return to the traditional Nelson sound" and "their future classic", so let's see if this is the truth or just PR rubbish. Speaking about the traditional Nelson sound I just can say: yes, it is 100% early 90s Nelson stuff. It doesn't feel like there is a gap of 25 years between this record and the debut "After The Rain". It's very similar in sound and style when it comes to their Melodic Rock roots - but that was the same on "Lightning Strikes Twice", so I wouldn't call it a "return to the old sound". It is definitely in line with its predecessor and has not much in common with the experimental stuff they did in the late 90s/early 2000s and I really appreciate that. So for those of you who are new to the Melodic Rock scene and you don't know what to expect on "Peace Out" I just can say be ready for tons of harmonies, double-layered vocals and guitars, enriched with some superb hooks. Nelson found again the right balance between Classic Rock, Glam and Pop. All those elements combined end up in a very enjoyable album. The opener "Hello Everybody" is the perfect start for 60 minutes of Rock'n'Roll entertainment. With the ultra catchy "Back In The Day", the rockin' "Rockstar" and "Autograph" Nelson put some really amazing Melodic Rock gems on this album that don't need to hide from the songs "After The Rain" had to offer. Unfortunately I notice also some lack of inspiration on "Peace Out". That means some of the songs are just solid Nelson-fare that are nice to listen to, but you won't remember any of them in a few years. Some hooks just don't work for me ("You And Me", "Bad For You"), because I've heared them a bit too often now, so "Peace Out" is very predictable at some point and in my opinion the predecessor "Lightning Strikes Twice" was better and offered more variety. For sure the Nelson-trademarks shine on every track, so Nelson fans will be pleased, but to me "Peace Out" wears off quickly when you listen to it very often. The production is very earthy and polished, which fits perfect to the music, but to me the sound could have been a bit more differentiated and powerful. Speaking about the performance of Gunnar and Matthew there is nothing to complain about. The two twins still sound like they did back in the days when "(Can't Live Without Your) Love And Affection" ruled the radio stations and I still enjoy them singing as well as their skills on the guitar. To answer the question abvoe: no, "Peace Out" isn't a future classic, but it is also far away from being a bad album. It has some really great songs to offer that can keep up with Nelsons biggest hits, but the whole record itself can't stand against "After The Rain" or "Lightning Strikes Twice" in my opinion. People, who are looking for feel-good Melodic Rock with two very charismatic voices, can't go wrong. But for the next time I'd like to see a bit more unpredictability and a more powerful production. For now this album is pure fan-service for Nelson-fans of the early days and those people won't be disappointed.